If a recruiter’s job is to recruit the right people, then how could we explain the recruitment industry’s high employee turnover rates? 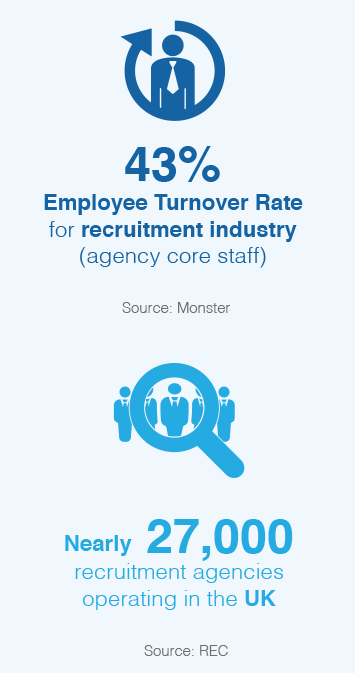 With a 15% average turnover rate for UK employees – depending on the industry – it is quite disturbing to find out that the staff turnover for the recruitment industry reaches 43%! Confused? Shocked? Before jumping to any conclusions on the competency and quality of recruitment services, let us elaborate on this phenomenon and find out what lies beneath it. 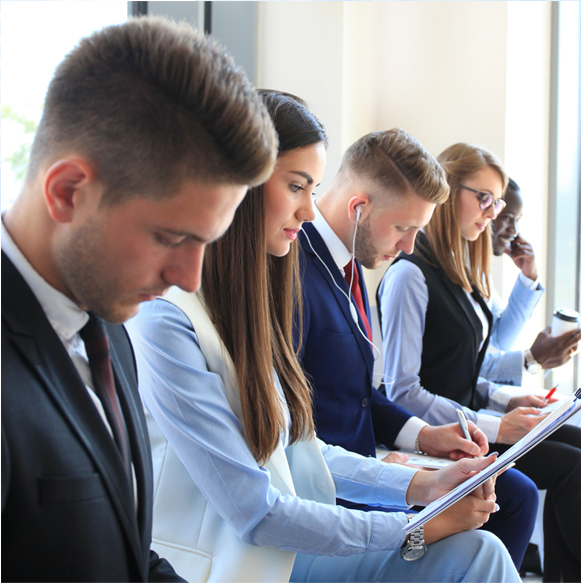 The Recruitment & Employment Confederation (REC), according to its ninth annual report on the recruitment industry’s performance, stated that the value of the recruitment industry to the UK economy is £35.1 billion per year. Currently, there are nearly 27,000 recruitment agencies operating in the UK. 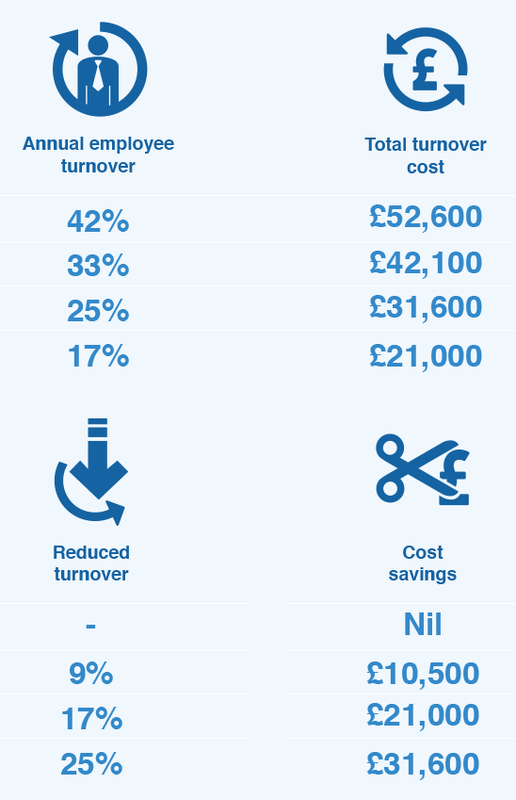 Although a normal turnover can benefit a company, since it prevents employee stagnation and leaves space for labour flow, a high level of turnover is troubling and costly. The financial impact from the turnover, based on shorthand formulas, is between 30% and 400% of the annual salary of an employee. However, the accurate cost of employee turnover is determined by combination of various parameters. These include current pay and performance, the workload that needs to be delegated to other colleagues plus recruiting and training. Why do people enter the recruitment industry? The answer is simple; to help people find a job. It is basically a sales position: you find the right candidate for a specific job opening. This leads to a lot of pressure, targets and, inevitably, disappointment and turnover. Unless the recruiter has a sales mindset, he might find it hard to cope with the expectations, the competition, the placements and the rejections. So, it comes as no surprise that most of them shift towards other agencies or sectors. Other reasonable questions may be: Is the recruitment workforce motivated? Do they feel that their skills and experience are valued? How can this industry attract top talent, retain it and reduce turnover rates? Loyalty is the answer behind all of them. Aside from permanent staff, temps also perform better if they feel valued, recognised and cared for. Besides the usual retention tactics a company could use, such as attractive remuneration packages and opportunities for career advancement, there is another great option when aiming to retain your employees: perks and rewards. Perks and secure pension schemes can prevent your workforce from seeking new employers, or at least think twice about doing so. workplace that retains top talent and reduces turnover rates. By joining our community, agencies gain an array of VIP perks for employees including 24/7 access to doctors, a confidential helpline as well as discounts for shopping, travel and leisure. Our offer stands for both, permanent and temporary staff, in order to increase loyalty. We also provide workplace pensions so employees can secure themselves a flexible and rewarding retirement plan. Reduce your employee turnover rate, enhance your business growth and boost performance. and find out how your agency can benefit from our collaboration.